This beautiful idol of Lord Ganesh is an exquisite showpiece carved from pure marble. With a smooth finish and glossy touch, the majestic figurine is hand-painted by expert artisans of Jaipur – Asia’s largest marble market. The exquisite idol is shown being seated on a marble chowki. The artefact is embellished with elaborate meenakari as well as kundan work and showcases skilled craftsmanship and magnificent finesse. You can place the idol in your puja room and experience an aura of divine peace and spirituality. A symbol of prosperity and wisdom, it is a thoughtful gift for your friends and family. Traditional, twice-baked almond biscotti – made using original Swiss technique. Sweet & crunchy cookies containing pure almond extracts & toasted almond chunks. Free from oil, butter & preservatives. Crafted by expert chefs at Swiss Gourmessa’s on-site bakery using fresh & premium ingredients. Authentic Swiss breads, buns, croissants, pastries, chocolates, and cookies are some of the specialities of Swiss Gourmessa. Prepared by professional bakers and pastry chefs, their offerings are made of the finest raw material. These high-quality products are completely fresh and free from chemicals or preservatives. So if you crave gourmet delicacies with a Swiss touch, you do not have to travel all the way to Europe any more. The goodies are available right here in India and are just a click away! Launched in mid-September 2015, Salebhai offers regional specialities such as sweets, namkeen, chocolates, dry fruits, baked goods, puja items, handicrafts, paintings, carpets, herbal body care and wellness products, handloom wear. Also worth checking out is their new arrivals and gifting products which includes food, handicraft showpieces, handbags, herbal cosmetics, etc. Find these mouth-watering desi dishes at this one-stop shop, and buy them at the best prices by availing the great offers listed for Salebhai on Zingoy, the one-stop place to find tempting offers and to earn cashback on buying from Salebhai through Zingoy. 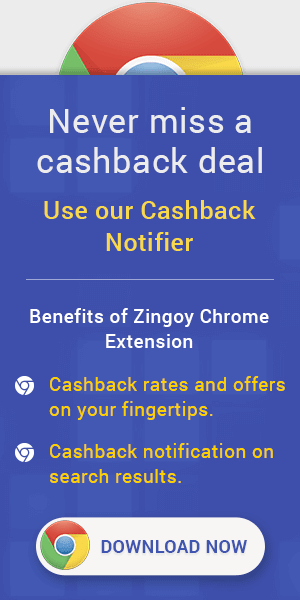 Be prepared with gifts and Indian sweets no matter what the occasion, and also create and share your Zingoy links of Salebhai products with your friends and family, so every festive season, they are prepared too, while you earn extra cashback for their purchases made through your Zingoy links.